Should you publish your next book with Amazon's CreateSpace? 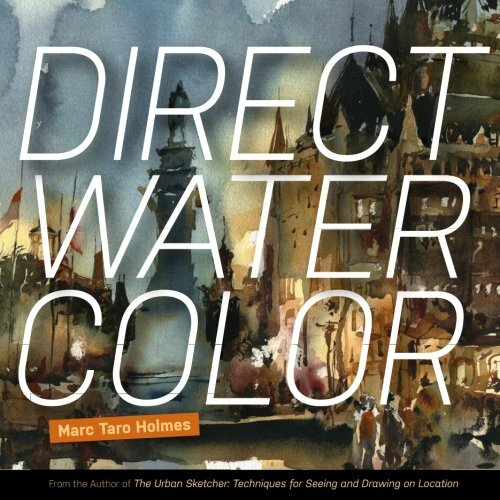 Marc Taro Holmes is a watercolor artist from Montreal known for his urban sketches. 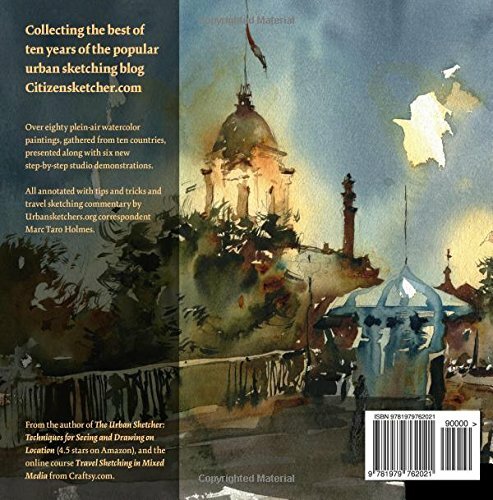 As a correspondent to the Urban Sketchers website and his own Citizen Sketcher site, he has contributed to the field of observational sketching. He sent me a copy of his most recent book, Direct Watercolor , which he published with Amazon's CreateSpace independent publishing platform. Since Marc has often written on his blog about business opportunities facing artists, I asked him if I could interview him about his new book, focusing less on the contents of the book and more on his decision to publish it the way he did. If you're reading this, and you have a book idea you'd like to see in print, you're facing a lot of choices right now for how to bring your book to market. Here's what Marc has to say about the CreateSpace option. 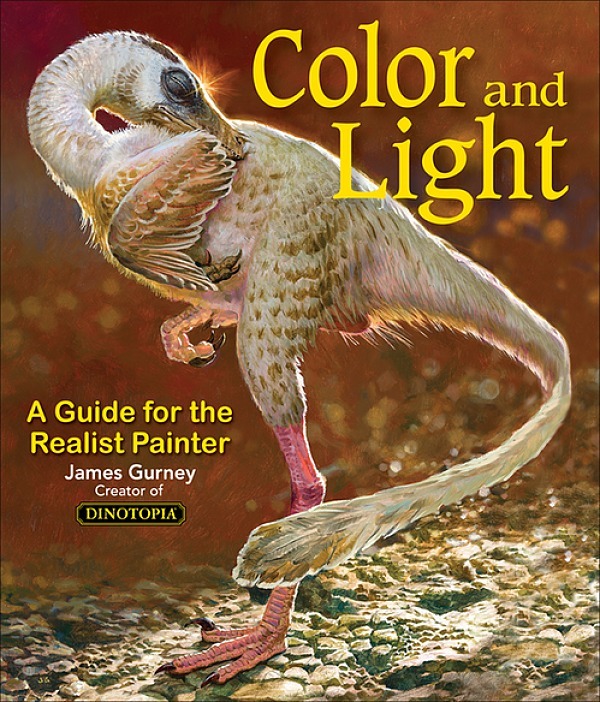 Gurney: You published your two previous books (The Urban Sketcher: Techniques for Seeing and Drawing on Location (North Light) and Designing Creatures and Characters (North Light) with traditional publishers. 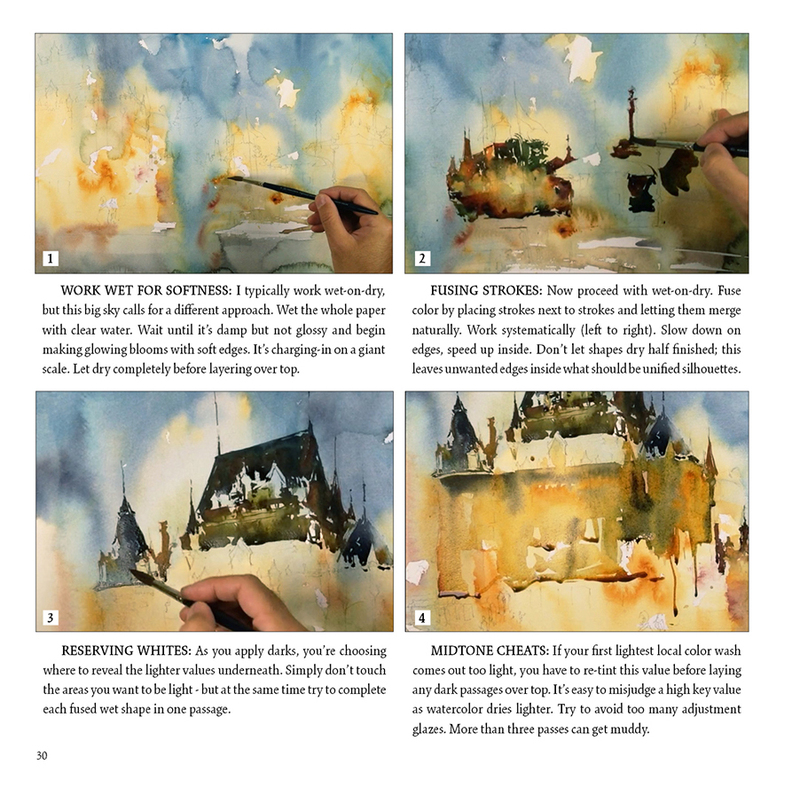 Why did you decide to publish Direct Watercolor with Amazon's CreateSpace? Holmes: I still have a good relationship with my publisher - they're selling plenty of Urban Sketching books! It’s not like I would refuse a good offer from them or any other traditional imprint. But, on the other hand, I have the skills and a pretty good social media platform - so my thinking is; if it’s within your abilities to make content at a professional level, and you think you can forego the publisher's marketing and distribution, then why not keep the lion’s share of the royalties? Yes, I have to pay Amazon a fee to distribute - but it’s not even close to what I have to give over to a traditional publisher in exchange for things that, arguably, I'm good at already. (I'll let you know someday if everything I just said was hopelessly romantic. It's early days yet). 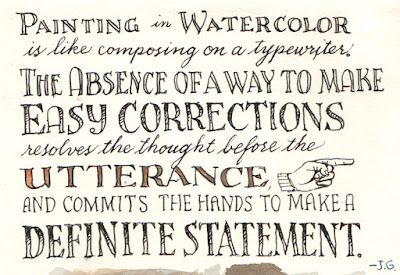 But mostly - to be completely honest with you - Direct Watercolor is a ‘best of’ book. The result of five years of teaching at Urban Sketchers events. My publisher passed on that concept. They don’t see it as a match with their audience, or their copyright model (they don't republish old work, they seek to own new work) - but for me, it’s right on target for my fans. Why did you decide not to go with the Kickstarter model of crowd funding and self publishing? How does Amazon CreateSpace work with their authors? It’s an automated process with zero human interaction. Their site has a deep FAQ with plenty of videos on the mechanics, but it’s up to you to do your research. Do they provide a graphics template, editorial guidelines, or feedback? There are templates for all the book sizes they offer, but I do believe they’re in MS Word? So I didn’t use them. Do they vet ideas initially or approve them before printing? It’s my understanding Amazon doesn't vet anything - beyond an automated flight-check for technical flaws, (e.g. : the software can tell if your image goes off the page) and probably, a staffer does a sanity check for offensive or illegal content. What, if any, changes did they request? They'll never request changes or offer advice, only say ‘yes this will print as-is’ (or not). What does CreateSpace charge for their publishing services? It’s completely free up front. There used to be a small setup charge, but now it’s free-to-play. Do they try to up-sell you on creative services? They do have professional services, but the sales pitch is very minor - you just skip any assistance you don’t need on the site. Who designed the book, what software did you use, and what did you deliver (such as JPEGs, PDF file, InDesign file or proprietary CreateSpace file)? I used InDesign for the page layouts, Illustrator for the cover and Photoshop for scanning. I did take graphic design in art school so I have a leg up, but it’s been 15 years, so I took an InDesign course on Lynda.com to brush up. The cover does require very specific templates. There is a feature on the CreateSpace site to customize the spine-width based on the number of pages in your project - which is very helpful. Doing that yourself requires math. They also put the barcode on for you - as long as you leave a correctly measured white box for them to print into. They also automatically assign you an ISBN number. I will also mention, the eBook conversion process is much easier these days. I used Amazon's (free tool) Kindle Create to convert a PDF to a KPF, which is the latest proprietary Kindle format. Then you send that through Amazon's other site - Kindle Direct Publishing - and it appears in the Kindle store in 24 hours. There have been announcements they will be rolling CreateSpace back into Amazon central soon, removing the need for two sites and two accounts. Why didn't you include any photos of you or your working setup, or photos of your motif? I committed to the very short 100-page book for practical reasons. It’s a sweet spot for retail price vs. printing cost vs. download size for the eBook vs. time to design. Once I made the choice that it would be a short book, I knew I would include nothing but art. The how-I-made-this aspect is so well documented on my website, which is free and well known in the community, I felt I didn’t need the book to cover the same ground. As well, I frequently update my supplies page on the site (https://citizensketcher.com/class-notes/). This always has my current favorite brushes, or what pigments I have on the palette this week. I don’t want this information going stale in a printed book. How did you shoot your artwork? I scan all the artwork on a desktop Epson scanner and stitch it together in Photoshop. 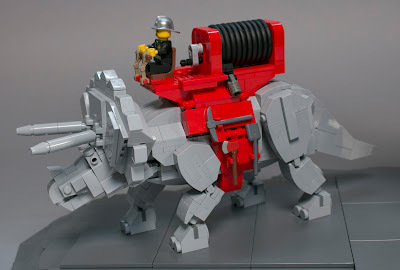 This is essentially software-automated now. For your step-by-steps, did you shoot them in a studio with copy lights or in the field? For the step-by-steps, they are actually shot on an iPhone5 using a Manfrotto magic arm, so I can get the ‘over the shoulder’ shot. Since I was designing my own pages, I knew the demo images were going to be super-small on the page, so I could get away with it. 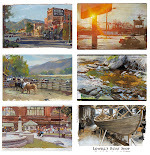 The demos are studio work, which is ironic in a plein-air book, but of course, using the same technique and gear as I would on location, and sometimes painted from my own painting, instead of from a photo. A lot of the field work was done in places like Copacabana beach at midnight, or in the Irish countryside in the pouring rain. Or painted in a stolen half hour before breakfast at a workshop. I feel like I wouldn't have gotten the paintings if I'd also been filming. It's often a direct relationship. How much gear you are carrying subtracts from how much you're painting. I know you're a master at guerrilla filmmaking! So I suppose if I pushed further into that I could figure it out? But there you have it. What role did your wife play in creating the book? Did anyone else help on your end? Laurel absolutely edits everything I write and is a big part of choosing what goes in and what gets cut. She also shoots all the reference that I do use. She’s a real photographer who would never touch an iPhone. Most of the people who say 'never paint from photos' don't have a modern camera, dual calibrated monitors, and a giant museum quality printer. She also helps clear the decks around here so I have time to write and paint! Which is a crucial role isn’t it? Not to be underestimated. 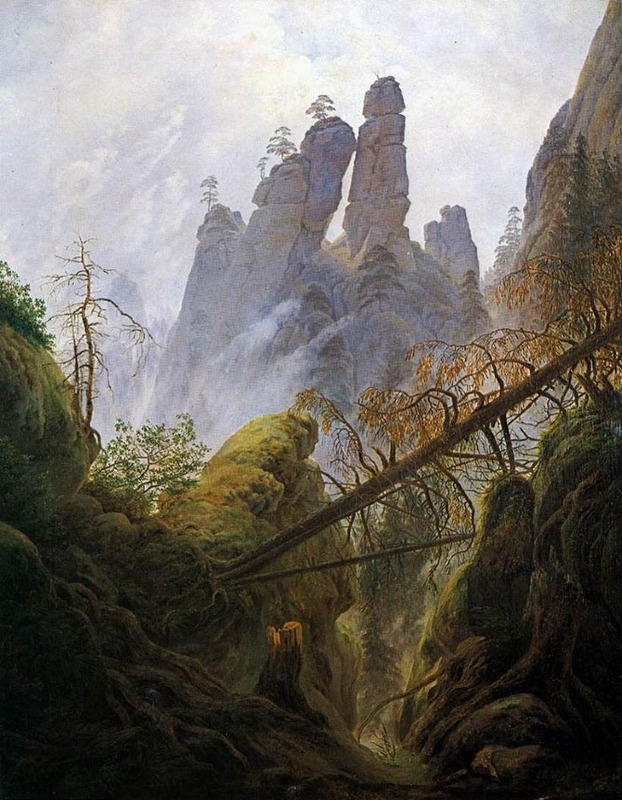 Oh, and she handles all the travel planning and the logistics of getting to painting locations. So really, she does a lot to make the books happen. Why did you choose the square format and the 99-page length? I mentioned the book's page count above. As for the format - the years this book covers, I was doing a lot of diptychs. Two 1/4 sheets of watercolor, paired horizontally like an open sketchbook. It was how I fit landscape panoramas in a shoulder bag while hiking around a foreign city. 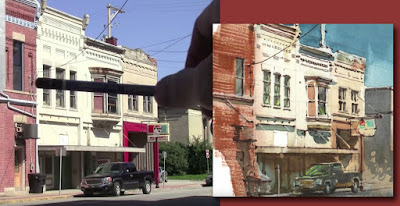 The long 2:1 book format suited these images. It’s obvious in the eBook, which is ‘letterboxed’ in two-page spreads. Are you happy with the print quality and the binding? Did you get a proof stage with the ability to input comments? You get as many proofs as you like - though you have to pay to ship to yourself (about $30/copy rush, to Montreal. As it's likely less for anyone else. ). I’m happy with the quality of the paper, while I acknowledge it could be better. 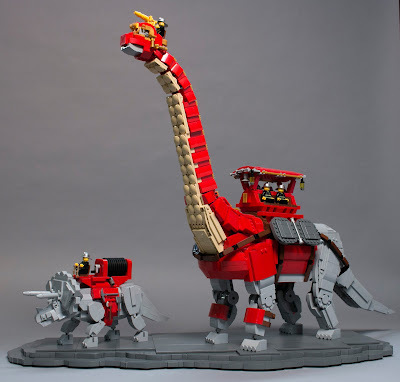 I think it’s a trade-off. Perhaps one day I’ll be able to re-issue a collectors edition with a superior binding. Or a hardcover! Wouldn’t that be nice? The list price is entirely up to the author. It's ironically not as good a deal for Canadians, as Amazon doesn't price match - they just convert the USD price - so it's $33 here at home! Also - Indy publishers will be glad to know - Amazon sometimes discounts the price, but does not discount your royalties. The author is not penalized for Amazon's choice to put it on sale. At the end of the day, I feel this kind of book is primarily for fans and supporters of my work. People will support me because they like my content - or they won't. It's the bloggers' social contract, isn't it? If people love my free website, this is the one thing they can do to tangibly support me. So that's all the thinking behind that! Is the digital edition available in any other formats or for any other devices besides the Kindle app and the Kindle Fire? Right now, no. As far as I know, there's a kindle app for anything that has a screen. If you're reading this now, you can read the ebook on the same device. I could put it up on the iBooks store, or Kobo, but honestly, all my research is saying you're better off writing a new book than chasing down alternate sales streams. I could be wrong here, I'm just a guy with a dream. When I'm more organized I'll 'go wide' as the self-publishers call it. Are you contractually precluded from releasing it in other formats? Authors can choose to be exclusive with Amazon, but I did not. If you do, you can be in their 'all you can read' library called Kindle Unlimited. But I feel that's more for fiction than for art books? (Romance, Fantasy, Thrillers). So I didn't go that route and I'm able to sell it anywhere I choose, as long as it's at price parity with Amazon. Is Direct Watercolor sold in brick-and-mortar stores, or any online stores besides Amazon? Again, you can choose to allow bookstores to order and re-sell your print-on-demand book, but I did not. Amazon has set this up to be as rough as possible on the bookstores. The author has to subsidize the reseller. (Amazon calls this 'Expanded Distribution'). If I were to sign up for it, I'd be giving almost 70% of my royalties to the bookstore. It just didn't make sense for this project. I apologize to all the independent bookstores out there. And if I was writing a detective novel, I probably would do it, because browsing would be a bigger factor than fan-support. I wish there was a better solution for this. If I lived in the US I would handle shipping books to stores myself. But as a Canadian, I can't manage the shipping costs. (Book rate shipping does not apply cross-border). There's a note on the back page that the book was printed in South Carolina just four days ago. Does Amazon print on demand and do the shipping for you? Yes, it's quite amazing. The book does not exist until it's ordered. When a customer clicks, it's printed, bound and shipped by their system. It's pretty cool. I hear they are developing 'book vending machines' that do this while you watch. They're used in libraries to create copies of books that don't circulate that often - so they aren't taking up shelf space for eternity. Amazon also tries not to ship internationally. They print in various countries and try to keep the shipping local. It's not perfect - Australia has to pay for shipping from the US - but I'm sure the plan is to have a robot printer in every city someday. Does Amazon have foreign translation rights? I own the entire copyright package. So they would have to contact me and make a deal. So, for example, if you were approached by a Japanese publisher who wanted to publish your book in the Japanese language, what would you do? That's one situation where the traditional publisher is more likely to be successful. The Urban Sketcher is in all sorts of languages from Czech to Chinese. But - as a first-time author at the time of that deal, I didn't have the clout to negotiate those rights, so I don't make more than beer money on translations. How is the income divided? Does Amazon take a fixed fee per book, or a percentage of the sale price? Do they take any fees off the top in advance of dividing the income? This is hard to explain. The fees differ based on many variables including where the customer lives - but anyone can go to the CreateSpace website and play with their 'royalties calculator' to see how their own numbers might work. It simplifies things to 'if I charge X, I make Y'. Can you order copies for your own online or event sales? If so, what discount do you get? Authors pay only the fixed costs plus shipping, handling, and tax. So yes, it's feasible to buy boxes of your own book and go to trade shows and book fairs. How have you promoted the book? I have my passion project - my website CitizenSketcher.com. In a way, I am constantly promoting, and at the same time, I never promote. 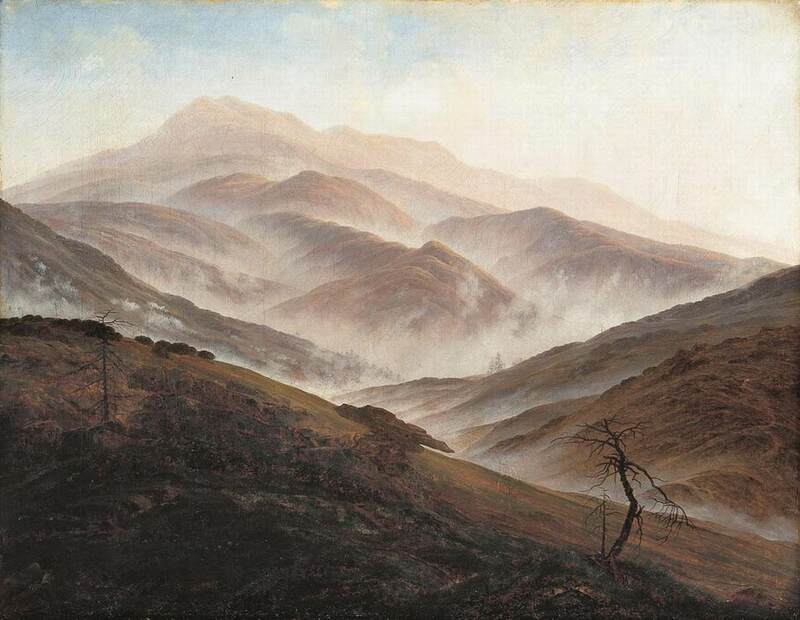 I just paint, and talk about how I paint, and it all works out. What has Amazon done to promote it? Amazon has their magical 'other customers bought this' recommendations under every listing. That's a very effective promo every author gets automatically, based on search relevance and your Amazon sales rank. I also like their 'look inside' feature, and the downloadable e-sample. It's almost like browsing in a store, but people can do it anywhere they're online. How do the Kindle sales compare in proportional terms to the print sales? It is early days, but right now it's about 3:1 paper vs. eBook. Which makes sense to me. It's a nice looking book right :) So if the paper version is affordable to people, they choose that. It does look great on an iPad pro :) And is surprisingly nice on your phone even! But not everyone has that option. Does Amazon give you analytics about quantities sold, territories, demographics, returns? They do give you excellent stats. All the above. Particularly when you consider, you only hear numbers from your traditionally published books two times a year! You can refresh your sales page on Amazon by the hour if you like. Is there an audit provision? The audit provision is a very good question. See, that show's your experience. I didn't think to check on that. What did you give up and what did you gain by going with CreateSpace? Well, I would not go with any other kind of self-publishing. The old-fashioned self-publishing model is to print books at personal expense, store them in your garage, and sell them out of your car at book fairs. It's a very hard way to make a living, and simply impossible for a Canadian. (Country too big, people too thin on the ground). So - versus traditional publishing? I gained: a significantly advantageous royalty deal, control over the theme and content, a book out in the world much faster than trad pub can produce, and I'd say a better-looking art book (no knock on my previous designers, but it's a labor of love here, and they have deadlines and workloads). What did I lose? I'm not sure I lost anything. I'll let you know. We can do the article 'Why did I ever try self-publishing!?' if we need to next year. I will say, I turned down an offer for a third traditional publishing deal - they would have paid me to not do this book at all, and instead do a book on watercolor sketching for beginners - but I wanted to make THIS book, not a different book, which would have taken me another year to complete, and them six to nine months to get to market. This way fans get a book today, and probably a book next year too! Would you publish your next book this way? Would you ever go back to doing a book with a traditional publisher? I'd love to sign another traditional deal - if the offer is sound. The question is, can someone like me get them to be competitive? Do they even care about mid-listers like myself? Perhaps they plan to thrive with a superstar model where they exist solely to publish the top 1% of authors. The average publisher advance is shrinking for new authors, but the highest advances are bigger than ever. So it's getting less and less equitable. 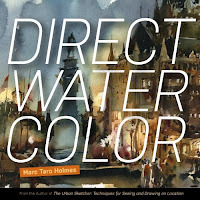 Check out Marc's book Direct Watercolor on Amazon. An original watercolor painting of mine celebrating art made by hand will be offered for sale at the "Interlace" exhibition at Bynd Artisan in Singapore from March 8-18, 2018. 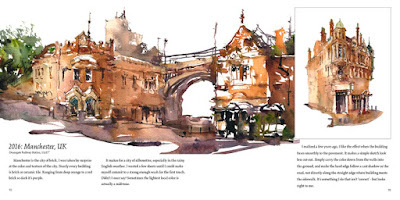 The watercolor takes up two facing pages of a limited edition, handmade sketchbook called "The Perfect Sketchbook," an idea Kickstarted by Erwin Lian. I painted the two pages directly from life. The sketch on the left documents a magical moment. 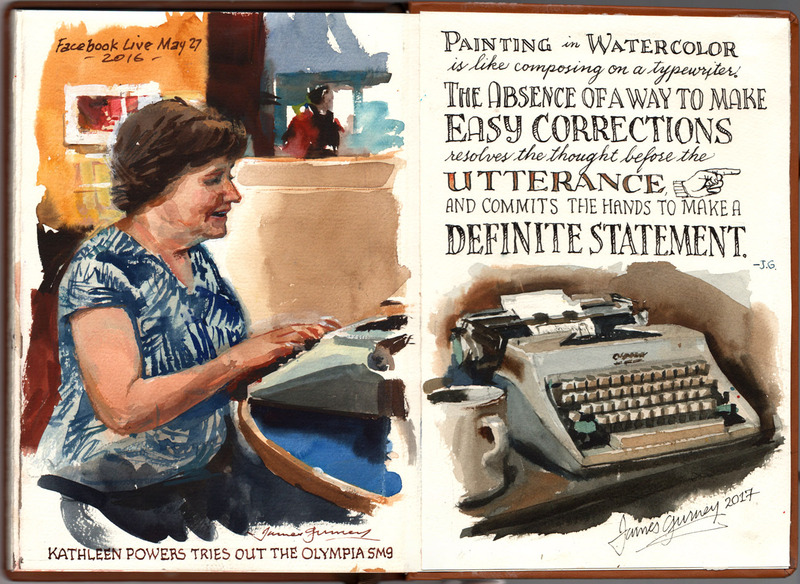 I brought my manual typewriter to the student center of a nearby college, and shot a video for Facebook Live of a student's mom named Kathleen who spontaneously posed for me at the keyboard while I painted her portrait. 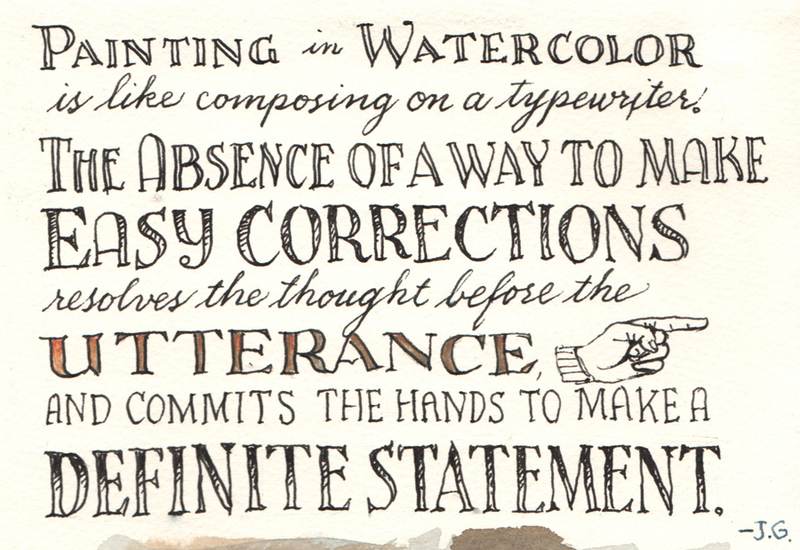 On the facing page, I lettered a thought that occurred to me as I was painting in watercolor, comparing the mental commitment that both activities require. On the right page is portrait of my Olympia SM9 from 1967. This typewriter was made during a high point of German postwar manufacturing, and it is regarded by connoisseurs as one of the finest manual typewriters every built. Before the age of computers, I typed on manuals all the time. I had almost forgotten what it feels like until my 27-year-old son gave me one that he found in a garage sale. I did a watercolor portrait of the typewriter and documented it on video. 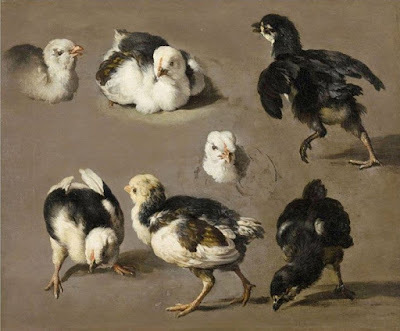 Melchior d'Hondecoeter (1636-1695) was a Dutch animal painter who specialized in birds. Many of his contemporary animal painters focused on painting dead animals in still-life positions, but Hondecoeter preferred to show them in living poses. 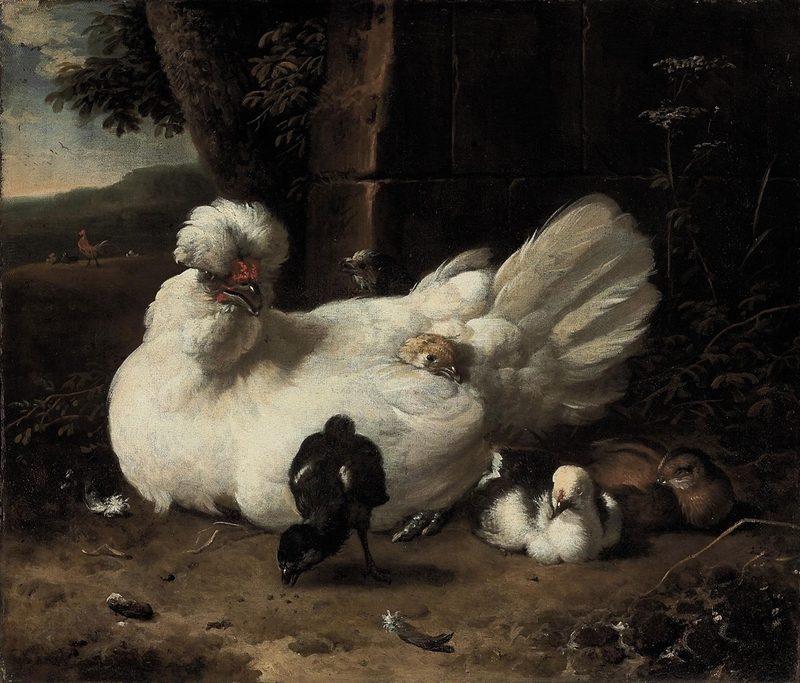 It was said of Hondecoeter that he "displays the maternity of the hen with as much tenderness and feeling as Raphael the maternity of Madonnas." 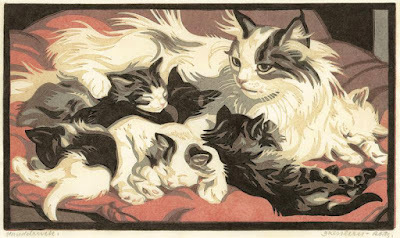 "While I was freelancing in Chicago, one of my accounts asked me to make corrections to the work of several famous illustrations before they went back in production. 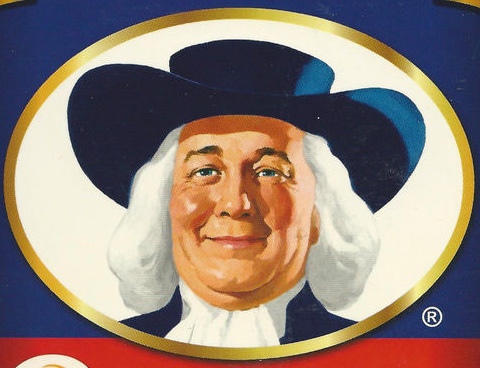 In one particular instance, an agency wanted me to duplicate the Quaker Oats Man. 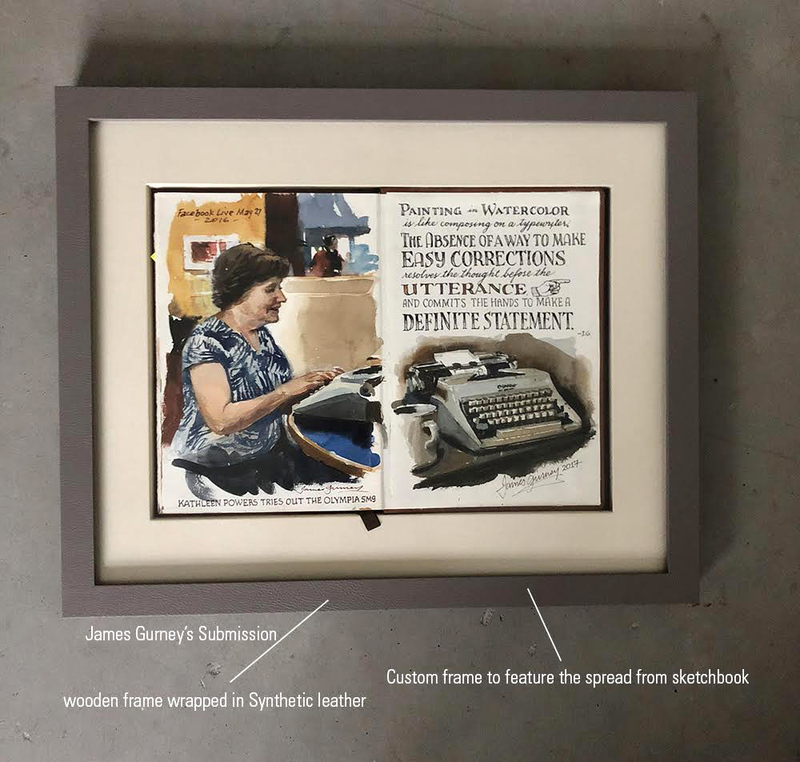 The original art was deteriorating and they wanted a new image to use for future products....I worked only in gouache, casein, and acrylics on illustration board, so I did the whole painting in that medium. I did not touch up on the original by Haddon Sundblom. 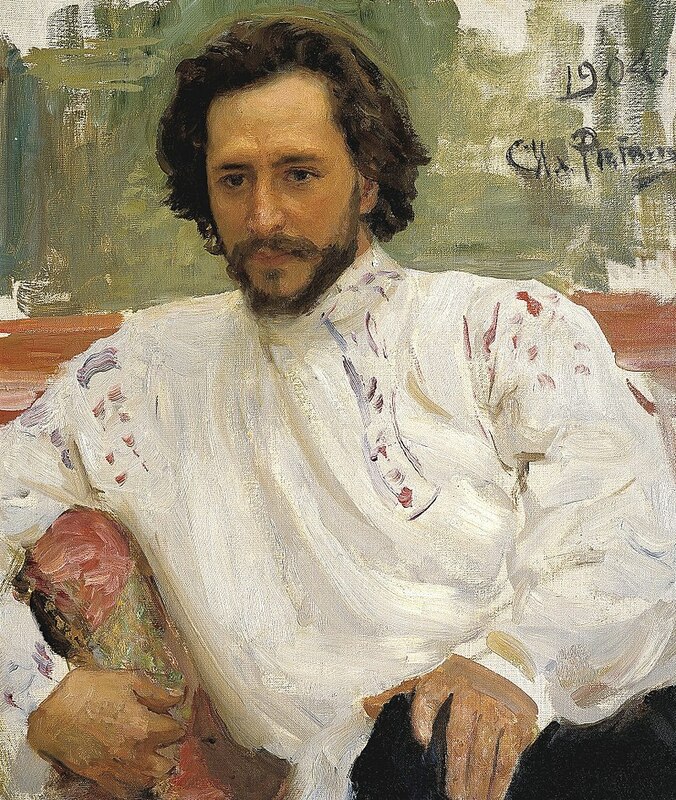 I am pleasantly surprised and honored to be his copyist." 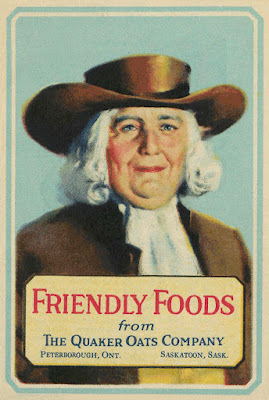 The logo had other incarnations, both earlier and later than the one by Sundblom / Bonfils. 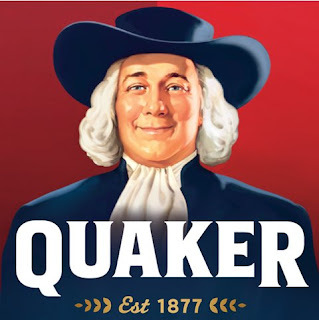 "The original 1877 Quaker Man was a full-length picture of a Quaker holding a scroll with the word 'pure' on it (just in case the integrity/honesty/purity point didn't get across). In 1946, graphic designer Jim Nash created a black and white head portrait of the smiling Quaker Man and in 1957, Haddon Sundblom made the full-color portrait. The last update to the logo was in 1972, when Saul Bass created the stylized graphic that still appears on Quaker Oats product packages today." But in fact the simplified version done by Saul Bass was scrapped and the company went back to its earlier painted look, slimming him down with a modified version in 2012. 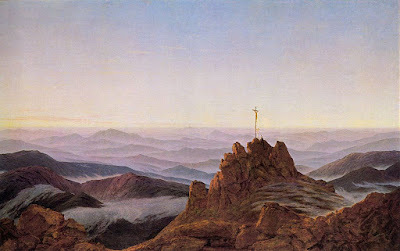 German Romantic artist Caspar David Friedrich (1774-1840) painted landscapes infused with spirit and feeling. 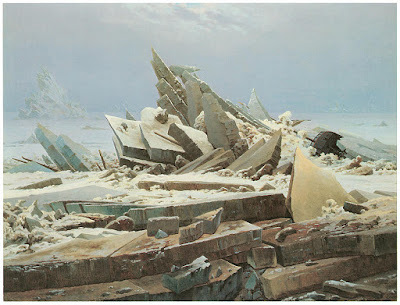 What was in his mind as he painted them? "The divine is everywhere, even in a grain of sand." Friedrich says: "The artist should not only paint what he sees before him, but also what he sees in himself. If, however, he sees nothing within him, then he should also refrain from painting what he sees before him." 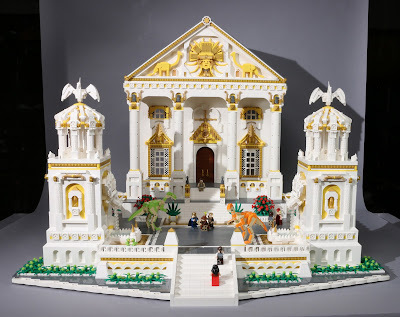 "Every truthful work of art must express a definite feeling, must move the spirit of the spectator either to joy or to sadness…rather than try to unite all sensations, as thought mixed together with a stirring stick." "You call me a misanthrope because I avoid society. You err; I love society. Yet in order not to hate people, I must avoid their company." "I must stay alone and know that I am alone to contemplate and feel nature in full; I have to surrender myself to what encircles me, I have to merge with my clouds and rocks in order to be what I am. Solitude is indispensable for my dialogue with nature." 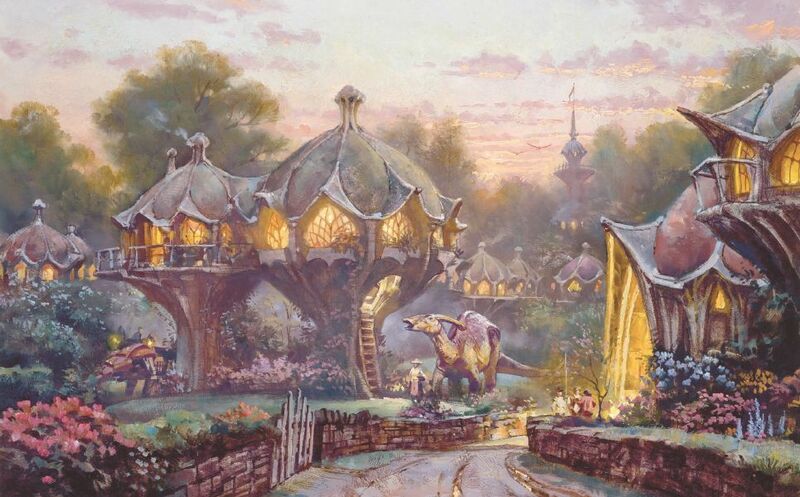 Bonabba is one of Dinotopia's pod villages. Its biomimetic architecture is based on plant forms. The human dwellings are raised off the ground on central stalks. You can climb into them via the ladder. I've just been updating the store on my website. Thanks to a warehouse find, I've got some art prints of "Twilight in Bonabba" available now. Leonid Andreyev was a Russian writer who experimented with early color photography, taking selfies between 1910 and 1914. 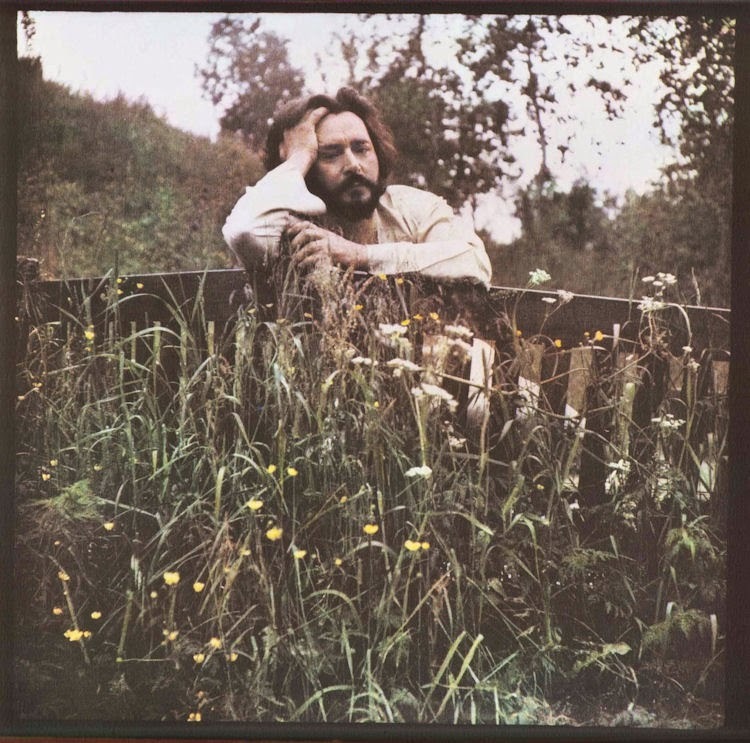 These are true color photos using the Autochrome method, decades before Eastman Kodak's process. Andreyev was also a friend of the great artist Ilya Repin, who painted several portraits of him. 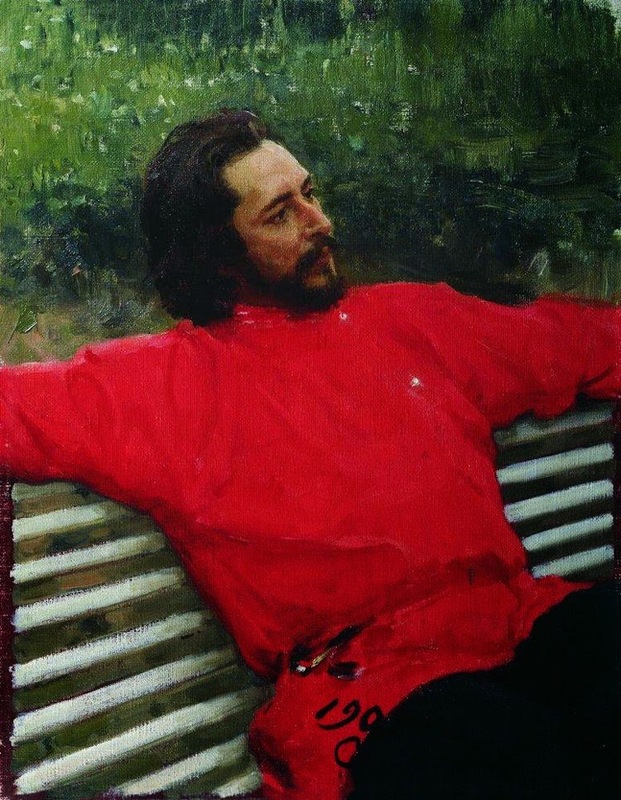 So we have the rare treat of being able to compare color photographs of one of Repin's models with some painted portraits. They're not in the same poses, not taken at the same time, and Repin didn't use these photos as reference. 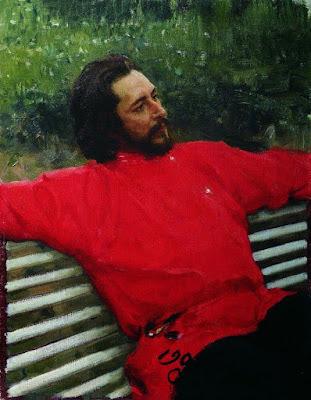 But it's remarkable to see how Repin stayed true to the essential character of the sitter, clarified the structure of his face, and presented him in an interesting way. "When you go outside to do a sketch, how do you scale down the view so that it fits into your sketchbook? Do you establish an anchor point and connect all the measurements to this point, or do you place your sketchbook far enough away and then measure the subject with your outstretched arm?" Patrick, that's a good question. Ideally I set up my easel so that the view is sight-size, and I place the easel as close as possible to my line of sight. On a few occasions I have experimented with a sight-size grid viewer to assist with very complex subjects. But frequently the subject is too far away for sight-size to be possible. In that case I use comparative measurements. I establish a unit of measurement in my view of the subject using a pencil held at arm's length. Then I look for other examples where that unit appears. You can see this approach in action in my YouTube video "Street Painting in Indiana." 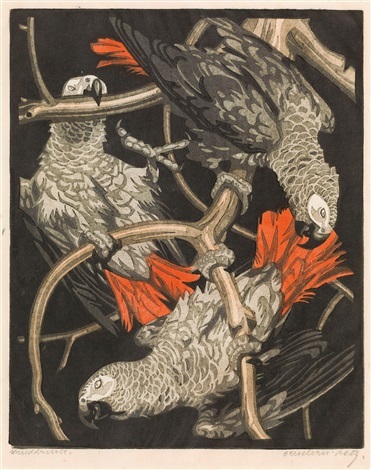 Norbertine Bresslern-Roth (1891-1978) was an Austrian printmaker who specialized in animal subjects. 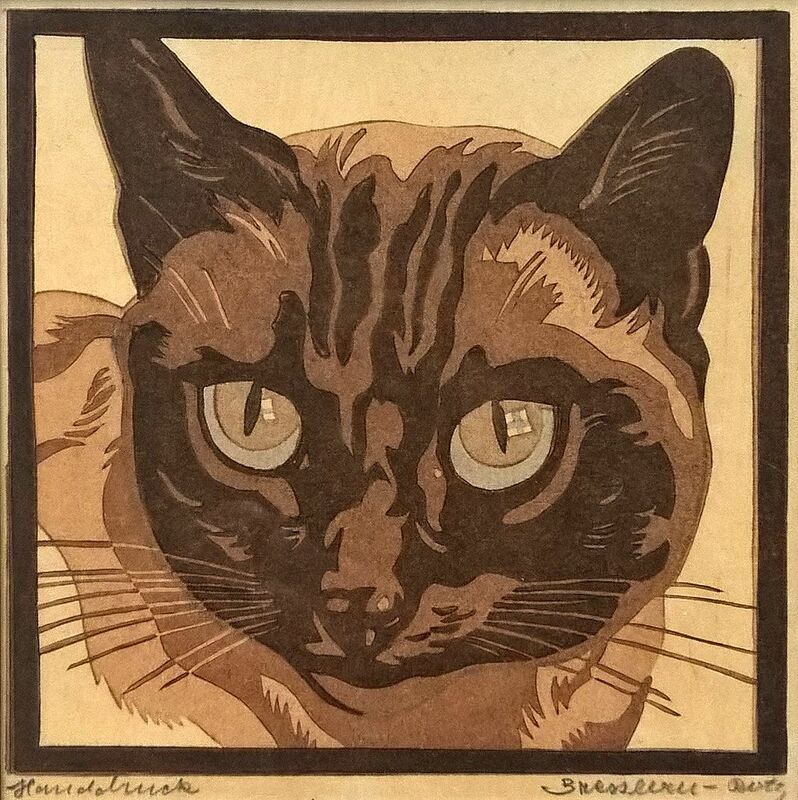 Her preferred medium was the linoleum block print, which suited her strong sense of design. 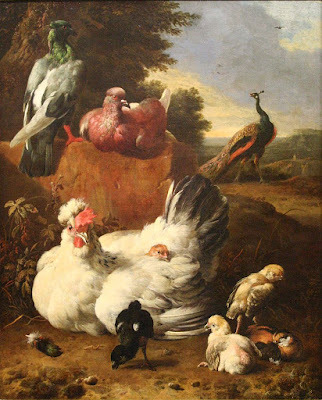 She studied at the animal painting academy of Hans von Hayek, where students painted landscapes and animals on farms near Dachau. 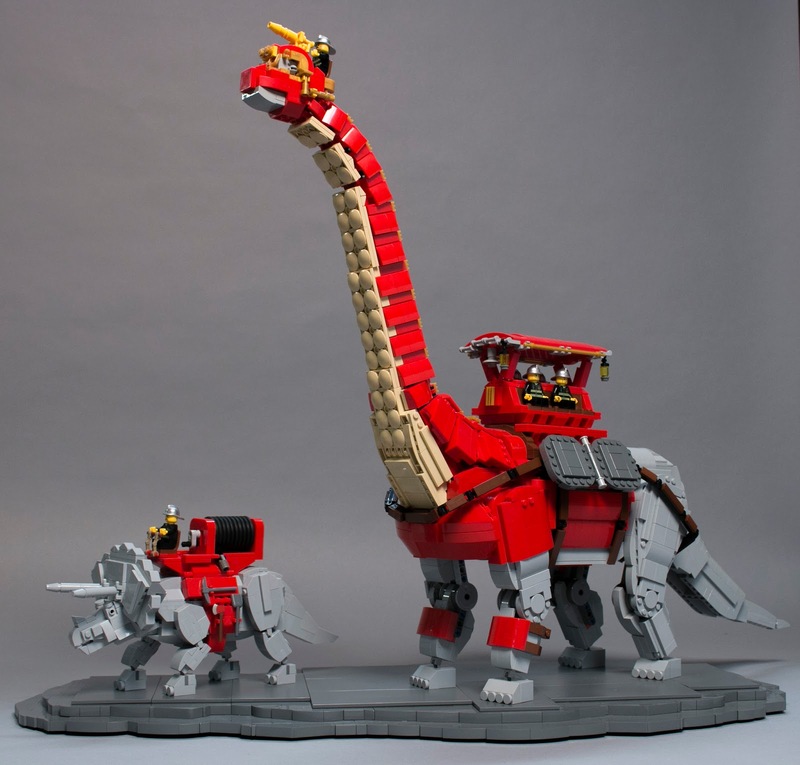 She was inspired by a trip to Africa, and later by trips to the zoo. 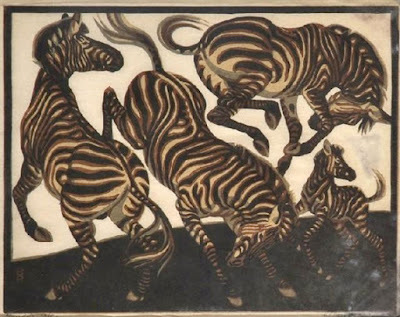 Most of her African compositions are based on her deep knowledge of animal anatomy, with poses that could never be taken directly from photography. 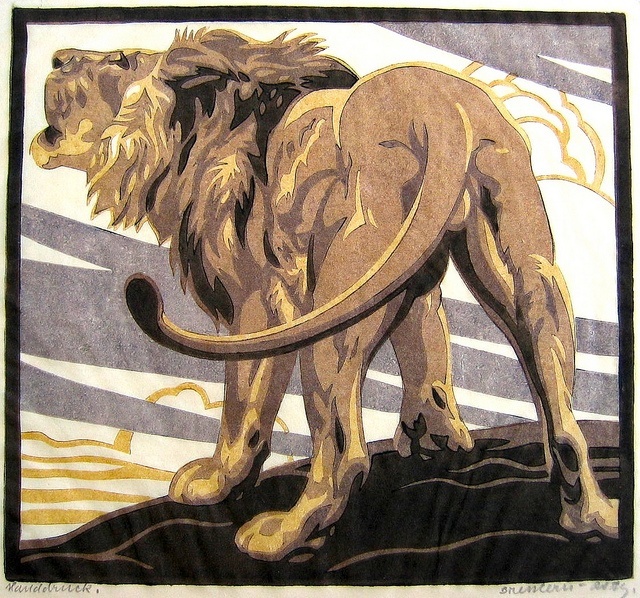 She often used the linoleum reduction process, where the same plate is used several times for progressively darker ink runs. With each color run, more and more of the block is cut away. Even for a simple subject, this process requires careful planning, and since you destroy the plate, you can't go back and print more. 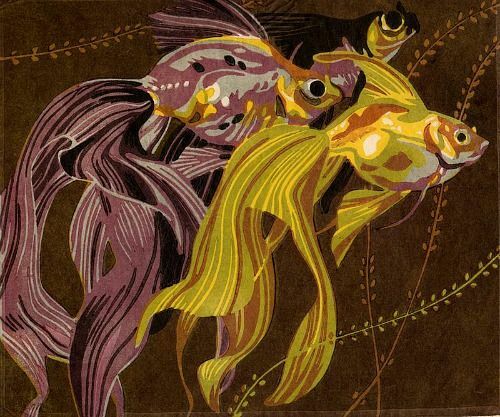 Her birds, fish, and insect subjects, show striking color combinations. Her art is well known to lino-cut artists, but not as well known as it should be to painters and other artists. Online biography and more samples at "Adventures in the Print Trade"
Seattle area builder Shawn Snyder recreated the saurian-themed architecture of Dinotopia in Lego bricks. 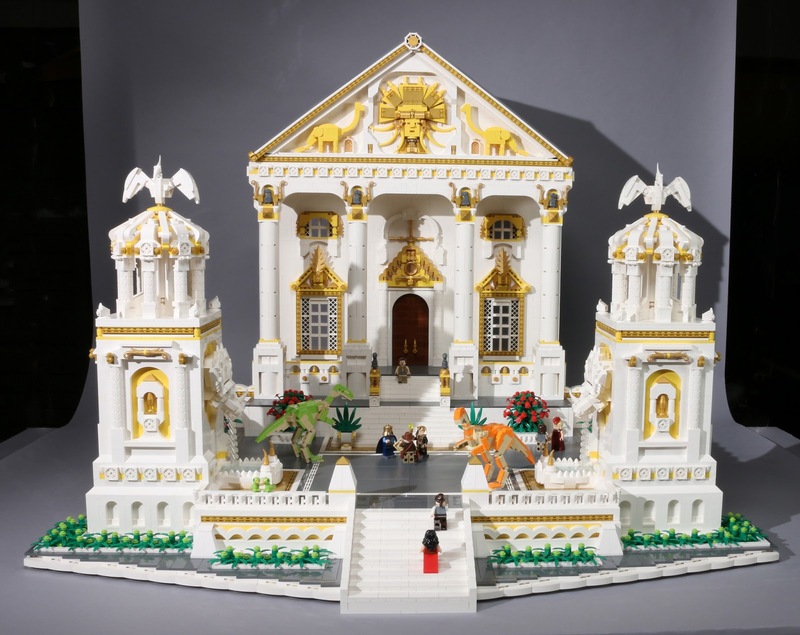 The gold trimmed details of the pediment use dinosaur-shaped motifs, and pterosaur finials hover over the towers. 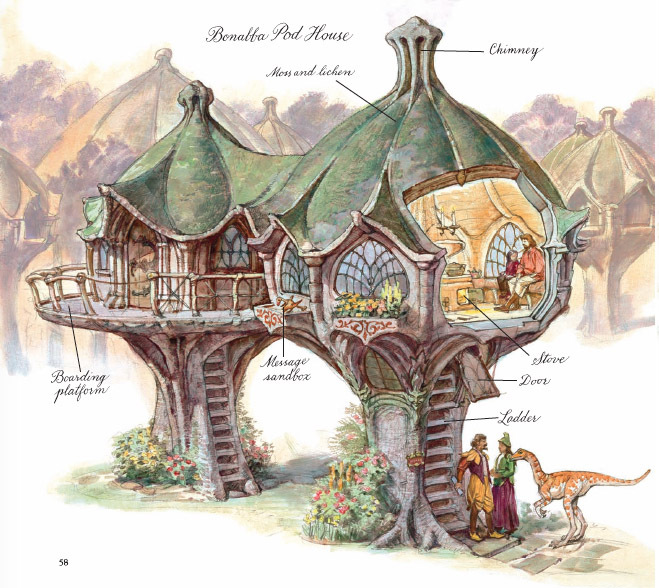 The dinosaur firefighting rig was based on a page spread from Dinotopia: Journey To Chandara . The firefighter has his tools mounted on the side of his Triceratops saddle, with the hose reel right behind him. 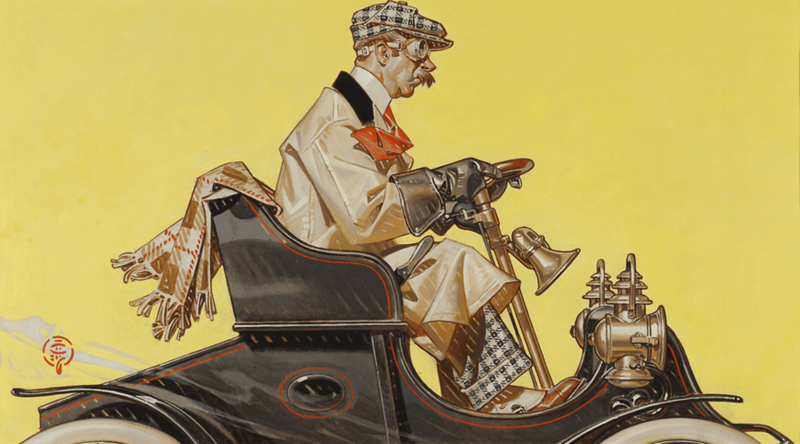 J.C. Leyendecker, "The Open Road," 21 x 37 in. This intense fellow, with his goggles, cap, and gloves, would have seemed amusingly old-fashioned when Leyendecker painted this ad for Amoco around 1942. 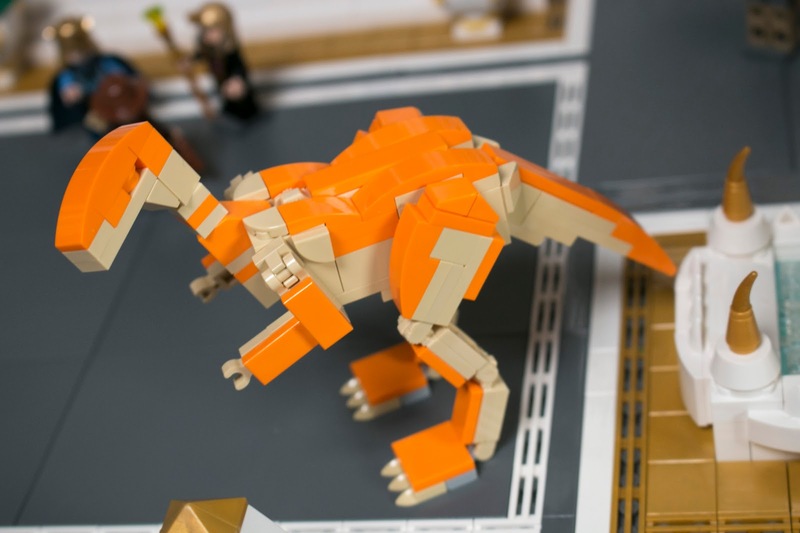 The shapes are lovingly crafted, from micro to macro. Note how the red necktie and the fringe on the scarf flap back in the wind, but the mustache juts forward. The little light spots between strokes add sparkle. 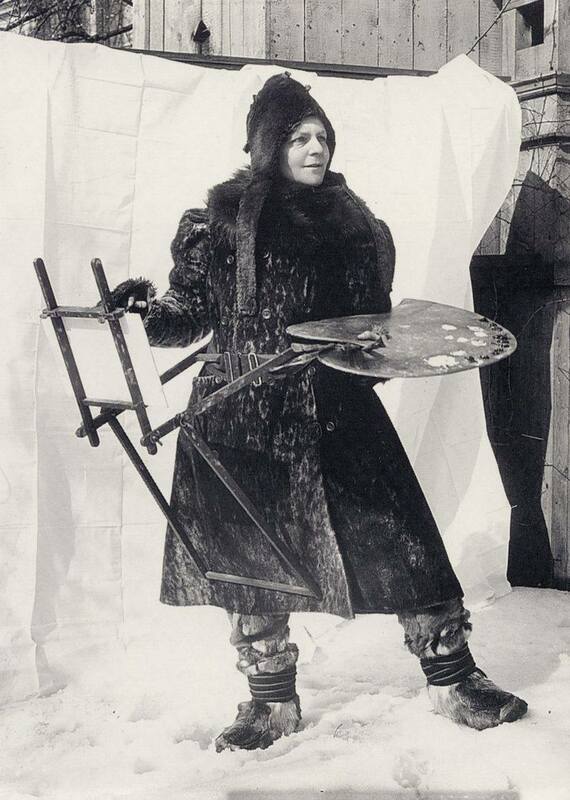 Swedish artist Anna Boberg (1864-1935) was a self-taught innovator, and she developed an unusual design for a plein-air easel. The painting was held in a frame that attached to a waist band and propped up against her right leg. 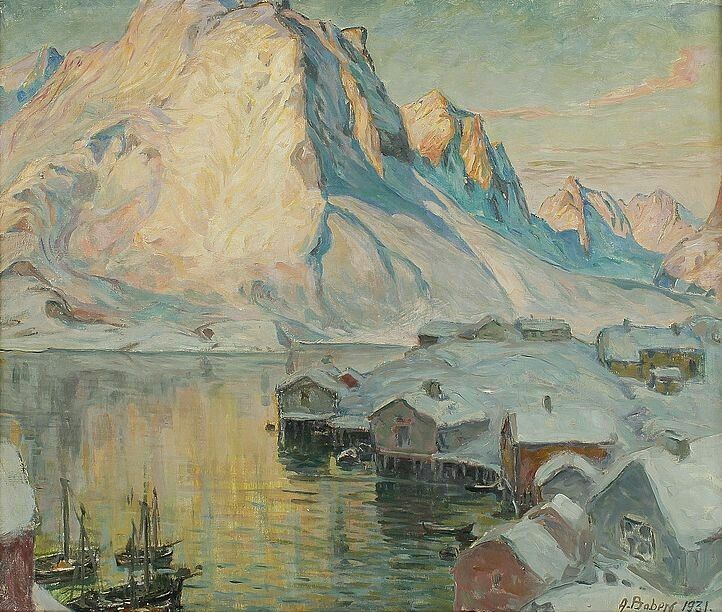 In addition to her winter landscapes, Boberg was known for her writing and her Art-Nouveau ceramics. 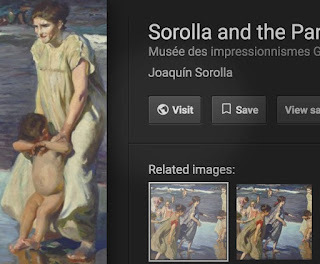 Google removed the "View Image" button from its image search results, with the goal of forcing users to visit the website if they want to copy an image file. Google made the change because of a licensing deal with Getty Images. The change is frustrating to people who want to freely copy images (and many uses are copyright-free), but it's probably better for artists and photographers who want to control their copyrighted images. By going to the website, users will be more likely to see the usage requirements first. There's a workaround, though. 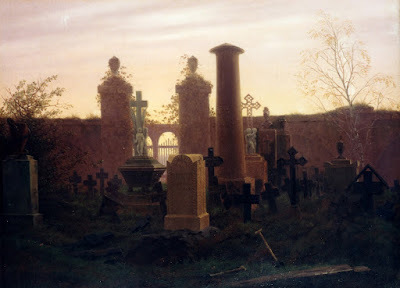 You can right-click the image when it comes up in results, and then select "View Image in a New Tab." Or you can select "Copy Image Address" to get the URL of the image. Paste that URL into a new tab and it takes you to the same place that "View Image" used to. Another solution for getting better image searches is to use another search engine, such as DuckDuckGo, which gives you more usable image search results and doesn't track your search history for advertisers. Westport illustrator Ed Vebell died last week at age 96. 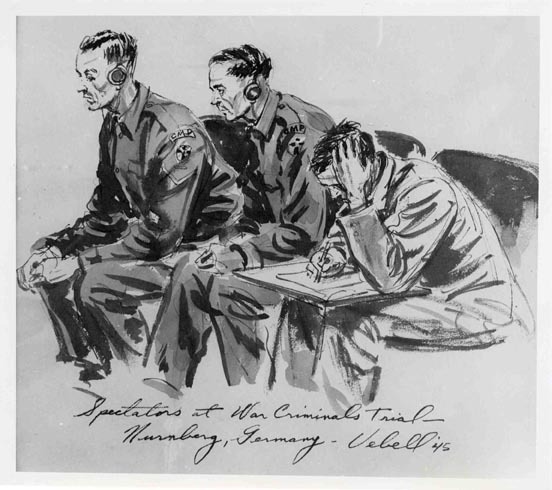 One of his most remarkable experiences was sketching at the 'War Criminals Trials' in Nuremberg in 1945. His job was to record the proceedings of the trial and document the key players. From his position in the press gallery, he could see the defendants, starting with Hermann Göring. 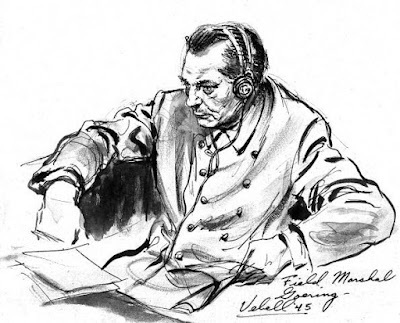 "Göring still seemed to be in charge," Vebell remembers. "He gave the feeling he was still running the show. He had his uniform on, but he had lost a lot of weight." He looked sunken in, reminding Vebell of a collapsed parachute. Rudolf Hess (top) and Wilhelm Keitel. Vebell sketched with a fountain pen, which allows no second thoughts or corrections. Since he didn't have any water, he achieved gray tones by using his spit to dissolve the water-soluble ink. 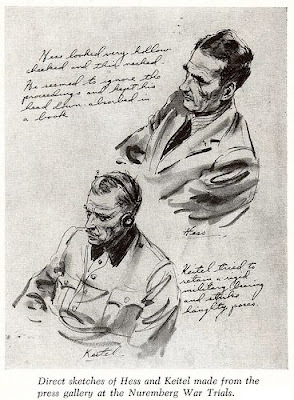 In his written notes, he described their demeanor, with its mixture of a rigid military bearing and a sense of hollowness. He sketched while looking through a pair of binoculars because he was a little too far to get a clear portrait likeness. He pressed the binoculars against his glasses, holding them in position, and then flipped his eyes up and down to switch from the view to the sketch pad. In this 2013 interview, he recalls the experience. 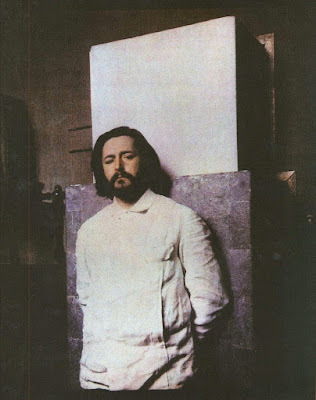 At 9:00 in the video, there's some archival footage of a Russian artist who also documented the trials, with a more caricatured approach.